Pictures of my blown out locks are nice but let's face it - - everyone wants to know what my curls are doing. Below you'll see the state of my hair prior to both Brazilian Blowouts. The picture on the left was a month after my big chop in March, while the photo on the right was my hair last week. 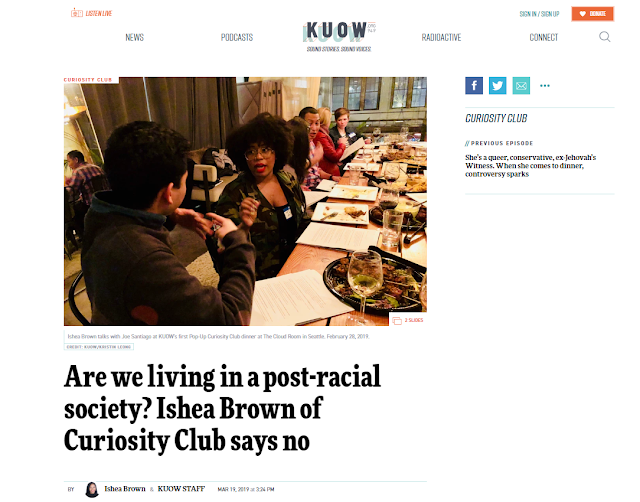 When I previously blogged about the results from my 1st Brazilian Blowout, one of the top questions I received was regarding my curl pattern and if it would be permanently changed. 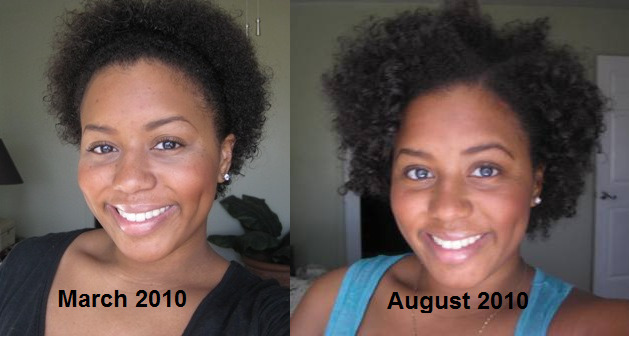 I'm here to tell you and show you that the August 2010 pic is proof that your hair does return to it's original state. Again, the blowout is a smoothing (not straightening) treatment that coats your hair shaft with a protective protein layer. This helps to smooth and reduce frizz. I must stress to everyone your curls are not going anywhere. This isn't a relaxer, texturizer or anything harsh and permanent. Since there is no chemical change to the composition of your hair there is no line of demarcation or permanent change to your curl pattern. This is a conditioning and smoothing treatment that gives you fabulous results lasting anywhere from 12 weeks to 4 months. Over time as you wash your hair the protective layer around the hair shaft fades away. 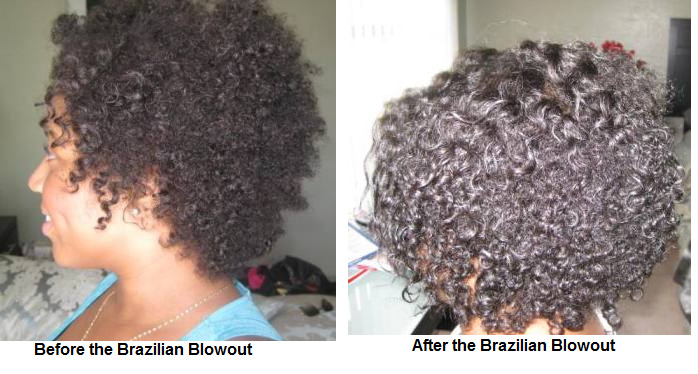 As for my results: The Brazilian Blowout helped to smooth my hair, make it softer, less frizzy and WAY more manageable. My curls were still there just more defined. Take a look below and you can see the difference for yourself. The picture on the left was taken the morning of my blowout before I went to the salon. On the right is a picture I took Saturday night (flat twists). 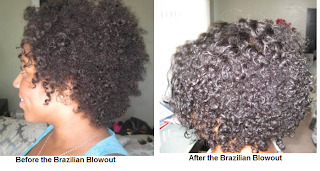 One of the pros of the Brazilian Blowout is the absence of any wait period after the treatment is done. You can choose to leave the salon with your hair styled curly or dry, as well as do whatever you'd like immediately after. No 72hr wait period or need to avoid hair ties and scarves. This isn't just a treatment for those wanting to rock their hair straight. Based on the pic above you can see that your curls will be in full effect. For a list of salons authorized to perform the Brazilian Blowout click here.